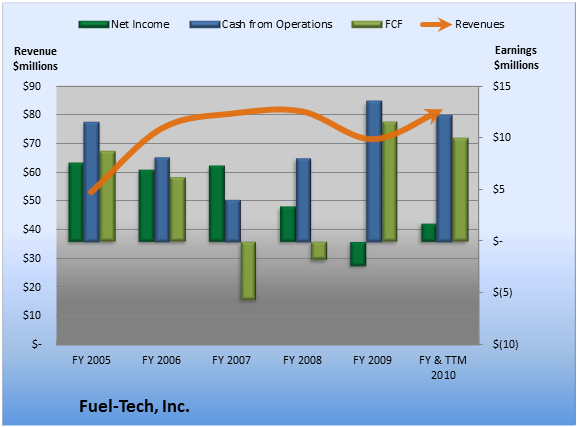 Over the past 12 months, Fuel-Tech generated $10.0 million cash while it booked net income of $1.8 million. That means it turned 12.2% of its revenue into FCF. That sounds pretty impressive. Since a single-company snapshot doesn't offer much context, it always pays to compare that figure to sector and industry peers and competitors to see how your business stacks up. With 24.1% of operating cash flow coming from questionable sources, Fuel-Tech investors should take a closer look at the underlying numbers. Within the questionable cash flow figure plotted in the TTM period above, stock-based compensation and related tax benefits provided the biggest boost, at 35.1% of cash flow from operations. 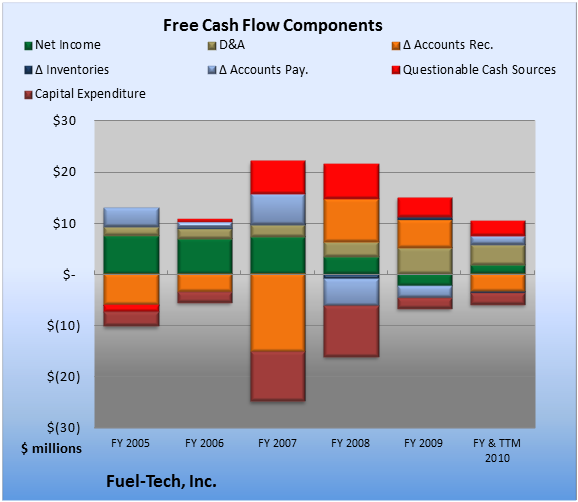 Overall, the biggest drag on FCF came from changes in accounts receivable, which consumed 27.6% of cash from operations. Add Fuel-Tech to My Watchlist. Add Siemens to My Watchlist. Add PMFG to My Watchlist. Add Foster Wheeler to My Watchlist. Can You Amass a Fortune With These Stocks?